Click the drop-down menu field and select the county you wish to search by. Or you can type in the name of the county: the drop-down menu will open, highlight the county and the font will bold with the letters typed. Press enter to select. Also, when a county is selected the map will zoom to and highlight the county on the map. 2.) Click on a category header field and the data below will be sorted either alphabetically (a-z or z-a) or numerically (high to low or low to high). When the table appears, the data can be exported by clicking on the 'csv' button located on the top right side of the table. After clicking the 'csv' button, the file will be saved to your default download location set in your browser. (Note: Typically this will be to your Downloads folder on your computer). From the drop-down menu bar, select up to 5 different Agricultural Uses. Click the 'Show Ag Stats' button. A line graph will appear below, which can be printed or downloaded as png, jpeg, pdf, or svg. Click the 3 horizontal bars located in the upper right corner to download or print the line graph. Click the drop-down menu field to select or start typing the name of the county. Once a county has been selected, the map will zoom to that county and a chart and several graphs will appear below. Each graph can be printed individually or downloaded by clicking on the 3 horizontal bars at the upper right of each graphic. A report can be downloaded by clicking on the 'PDF Report' button located above the statistics. (Note: the file will be saved to your default download location set in your browser. Typically this will be to your Downloads folder on your computer). Click the drop-down menu field to select or start typing the name of the 4th level (HUC 8) watershed. Once a watershed has been selected, the map will zoom to that watershed and a chart and several graphs will appear below. Click on Show Stats to expand the raw numbers. Select using your mouse, right click and "copy" using your browser options. How are these data created and obtained? 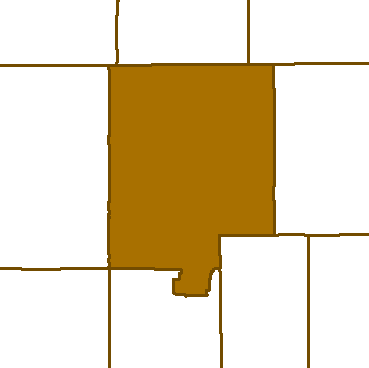 Calculated by clipping the area of interest to Wyoming state boundary. (Note: watershed areas calculated are from the total area within the state of Wyoming, not the total watershed area if the watershed resides partly outside of the state boundary). Calculated by clipping the area of interest to the BLM's Wyoming Surface Management spatial data. These data are displayed in a pie chart (using the same color schema as BLM) and labeling each percentage. Calculated by taking the yearly minimum, maximum, and mean then clipping those values to the area of interest. Precipitation charts displayed in bar charts with minimum, maximum, and mean. Calculated by taking the minimum, maximum, and mean elevations from Wyoming State 10 meter Digital Elevation Model. Then clipping those values to the area of interest. Calculated by taking a weighted average from the US Census Block data. Then clipping those data to the area of interest. Data obtained from US Census. Search bars are available to quickly locate and zoom to a number of important regions. Click the drop-down menu field and select the area of interest you wish to search by. You can also start typing the name of the area of interest and the list will be sorted. First select a color from the drop-down color palette. Color opacity can be decreased or increased by using the slider bar below color palette. After selection is complete: click 'choose'. Click on the map at the point where you wish to place the marker. Click on the map where you wish to start drawing the line. While keeping the mouse button pressed drag the line in the direction you wish the line to be. Release mouse button when finished. Click on the 'Freehand Polyline' button. Click on the map where you wish to start drawing the freehand polyline. With your mouse-button still depressed, drag the mouse to draw the desired shape. Click on the 'Rectangle' button. Click on the 'Circle' button. 1.) For default circle size: click on the map where you wish to have the center of the circle, then release mouse button. 2.) For user determined circle size: click on the map, drag mouse to determine the size of the circle. Release mouse button when finished. Click on the 'Ellipse' button. 1.) For default ellipse size: click on the map where you wish to have the center of the ellipse, then release mouse button. 2.) For user determined ellipse size: click on the map, drag mouse to determine the size of the ellipse. Release mouse button when finished. Click on the 'Polygon' button. Click on the map where you wish to start drawing the polygon. Each click of the mouse adds a new vertex and a line segment will automatically be added joining the start and end points. Double click the mouse button to close the polygon. Click on the 'Freehand Polygon' button. Click on the map where you wish to start drawing the freehand polygon. A line segment will automatically be added joining the start and end points to `close` the polygon. Click on the undo button to undo the last graphic or text action. Note: this action can be repeated as many times as needed. Click on the clear button to clear all graphics or text added to the map. Note: this action can be undone by using the undo & redo buttons. Click on the redo button to redo the last graphic or text action. Click on the 'Area' tool. To change units, click on the drop-down menu to the right of the measurement tools. Position mouse cursor on the map where the outline of the desired area is to be calculated. The measurement will display beneath the 'Measurement Results' header. When finished calculating area click on the 'Area' tool to close. Click on the 'Distance' tool. Position mouse cursor on the map where the desired start point for distance is located. Each click of the mouse adds a new vertex and a line segment will automatically be added. The measurement will display beneath the 'Measurement Results' header (Note: The final measurement will be a sum of total line length). When finished calculating distance click on the 'Distance' tool to close. Position mouse cursor on the map where the desired location is located. Click map, a pin will be placed at that location. The coordinates will display beneath the 'Measurement Results' header (Note: There will be 2 sets of coordinates shown. The bottom coordinates are the location of the pin. The top coordinates show the location of the cursor). When finished calculating the location click on the 'Location' tool to close. Popups must be enabled for some of these tools to function properly. Please make sure that you have allowed this site to open popups. Click on the 'Get Agricultural Stats' tool. Position mouse cursor on the map where the desired location is and click. The expandable tab on the left side of the map will open displaying statistics with additional functionality. Click on the 'Get County Stats' tool. Position mouse cursor on the map where the desired county is located and click. The expandable tab on the left side of the map will open displaying the selected county statistics with additional functionality. Click on the 'Get Watershed Stats' tool. 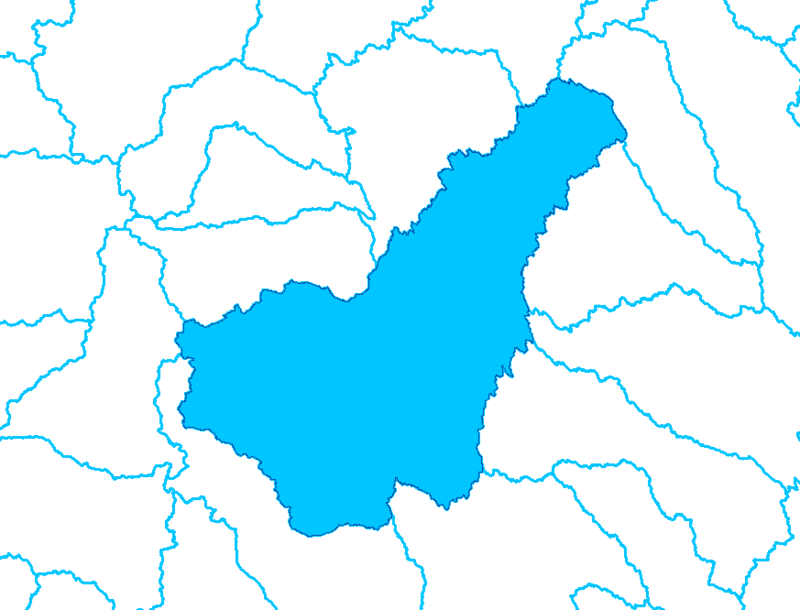 Position mouse cursor on the map where the desired watershed is and click. The expandable tab on the left side of the map will open displaying the selected watershed's statistics with additional functionality. Click on the 'Clear Tools' button, which will turn off selected tool. Popups must be enabled for 'Print Map' & 'Print Legend' to function properly. Please make sure that you have allowed this site to open popups. Click on the 'Print Map' button, which will open a new browser window or tab. Click on the 'Print Legend' button, which will open a new browser window or tab. Click on the 'remove all layers' button (top left corner). This will turn OFF all the layers, including any layers that are on but not visible at the current zoom level. This action does not apply to the basemap. Click the 'Change Basemap' button (top center). A series of image thumbnails will display, hovering the mouse over an image will identify what each thumbnail represents. Click a thumbnail to change basemap (Note: only 1 basemap may be displayed at any time). When finished click the 'Hide Basemap Gallery' button to close. Layers are grouped by category or theme contained within a folder. Each category may have sub-categories containing data layers. When this application loads, the default is all layers are OFF except the Level 4 (HUC 8) watershed layer, and all sections ON and COLLAPSED except the Hydrology folder contained within Environment. There are some layers that are scale dependent. When a layer is scale dependent and the map is out of that layers scale range the layer text will be gray. Only when the map is within the layers scale range will the layer text revert back to black indicating that the layer will be visible on the map. Click the '+' button to expand the folder's contents. Click the '-' button to collapse the folder's contents. Note: When a layer is ON a red outline will appear around the +/- icon. Note: expanding or collapsing the folder does not turn a layer on or off. Click the checkbox next to the desired layer. Note: this will turn off or on the layers that have been turned ON previously. By clicking on the 'i' icon to the left of each data layer, an information window will popup. Link to the full metadata. Reorder Layers by clicking and dragging to desired location. The layers can be reordered within each of these lists. Map layers cannot be moved above feature layers or vice versa. The lists must remain separate.